.Mov files are multimedia files, such as audio, video or things such as images and music. The mov file format, is a compression format used by Apple, to compress high quality video and audio into a smaller file size, without compromising quality or track data (especially for multi-track files). In other words, high quality sound and video, at a file size small enough to email or upload, in a format which retains some of the information about how the original (much larger) file is comprised. 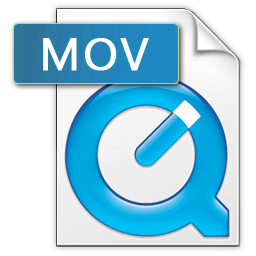 All MOV happens to be is a shortened file extension name for Quicktime File Format (QTFF). What is Quicktime File Format? Simply a computer file format used originally by the Quicktime framework. The design of the format specifies as a multimedia container file that contains one or more tracks for the playlist, storing different types of data like audio, video, effects, or text like subtitles. Each different track contains an encoded media stream or data reference to the media stream that was located and used in another file. This ability to contain this data for the media and the separation of the media data from the native media offsets to the track edit lists comes from Quicktime's suitable editing of importing and editing files without data copying. The International Organization for Standardization – Approved the Quicktime format as the basis of the MPEG-4 file format. MPEG-4 file format was created from QuickTime specification in 2001. The MP4 file was also promoted in 2001 as a revised version of MPEG-4. 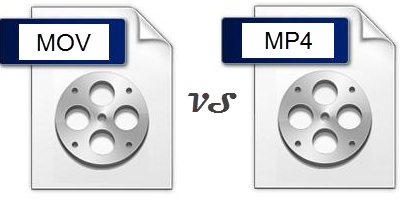 In 2003 the first version of MP4 was replaced by MPEG-4 PART 14: a MP4 file format revised. ISO base Media File Format which was originated in 2004. Side formats like 3GP and Motion JPEG 2000 from ISO base Media Files. The .mov file format is mostly used for video files. 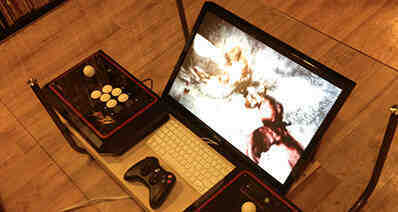 QuickTime can be used on any device, and .mov happens to be the most frequently used file there is with QuickTime. More often than not, little extensions like this one that create an easy-to-use system for audio/video files happen to move on to more than just one network. Mov has been recognized as a great video provider from QuickTime and is now being incorporated into other sites like Vimeo. Other file formats like AVI, or JPG can be converted into a .mov file as well, making this a great feature. With the .mov format it becomes easier to access and control media used on your website, without having to go through all of the trouble of finding a direct source. Sometimes, there will be longer extensions needed for the original source of a media file; however that is not all that often and still makes it an easier system for visitors to your webpage. Mov also contains variable bit rate audio, frame rate, chapters, subtitles, video formats, audio formats, metadata tags, menu support, streaming support, attachment support, 3D support, and is supported by hardware players. To be frank, Mov file format holds quite a lot. Mov supports all different kinds of audio like MP3, WMA, Vorbis, AAC, AC-3, PCM, LPCM, FLAC, and ALAC. This neat file also includes video formats like MPEG-1, MPEG-2, and MPEG-4(A) SP, AVC, VC-1/WMV, and theora. Currently MOV is still being worked on and contributed to, in hopes that the media player will progress into other media networks and become more widely ranged in its already current features and functions. However, the battles are on between Mac and Windows as reviews of using MOV on different software and computers seems to make a difference in performance. Reviews are saying that this file format works better for Macintosh, as the file was contributed by apple it could make perfect sense, right? Well, that isn't all that true as Windows still carries great support and endless praise for the file format being one of the best they've discovered in a long time. Perhaps it's the type of computer as in how old, or the brand that makes this software a tad lopsided. However the outcome, it is still a great program for media users and converting mov video files from mac to Windows isn't all that hard, and in fact there are certain downloads to make it that much easier. Common factors when choosing if QuickTime mov is right for you is to look at what you want for your media, and find what file format is best although mov does support many more players and media links than the others; if you're interested in a targeted file-format and not an all-in-one this format might not be for you. Whatever the case may be, having an understanding of mov file format potential is important when browsing for a new media player. Files are often best saved on your computer for easier access to players that contain .mov files, making uploading and revamping the system much easier and more convenient for you. MOV also supports people-friendly functions, and it does not require an absolute genius to figure these settings and optimizations out. Even if you are completely clueless, video tutorials and guides are given upon checking into this format, so essentially being clueless would be a thing of the past. Consider your options and website content before choosing, although to keep an unbiased opinion with all the basic research and studies to progress with this file, giving it a try certainly couldn't hurt. There are always ways of conversion. Converting MOV video to other formats if needed isn't an impossible task. There may be times when videos are in MOV format and you want to convert them to a different file format so you can play them on other media players that QuickTime .mov does not support. Thanks to the help of iSkysoft Video Converter Ultimate, it is easy to convert MOV files to another file that you require, whether it is MOV to WMV, MPEG, AVI, MKV or others. This nifty feature was developed by Apple Inc., as MOV format is largely used to store video files, especially movies along with audio and text files. It hardly matters if you work with a Macintosh and Windows platform; these files can be played in both software systems. 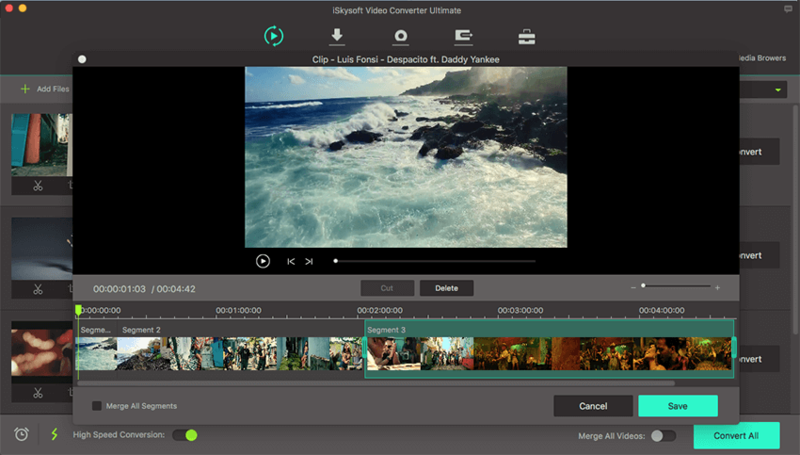 Batch processing – since iSkysoft Video Converter Ultimate can work with 150+ video and audio formats, you can convert videos as batches. Simply select the videos, choose the output and let the conversion begin. Fast speeds – this tool can convert videos at speeds of up to 90X, making it the fastest in the industry. 100% lossless quality – the videos that you convert will have the exact same quality as the original. Edit videos quickly – it has a nimble inbuilt video editor which you can use to add subtitles, text, watermarks, and other special effects to enrich your video. Download videos – you can download video from streaming sites and save to your computer or DVD. Output to several devices – you a can send the video to DVD, computer, Internet, iPhone and iPad. This is the reason why this tool is becoming so popular. 1. Import the MOV file by dragging it from its actual location in your computer and dropping it in the workspace of the software you are using. 2. Make your necessary video settings, customizations, or any other desired optimizations if needed. 3. Select the format in which you want to convert the MOV file into. 4. Start the process of converting by importing those files into your new media player. There are many methods of recording audio and video in our current age where technological advances and formats are always being developed. This leaves individuals with a number of options and allows for contemplating and choosing whatever format or formats best fit their needs. We'll be discussing several format options and the capabilities, advantages, and disadvantages of each so you are provided with optimum information to make a well informed decision. MOV this was originally developed by Apple as a format for what is known as Quick Time. Quick Time is a movie player capable of handling various formats of digital video. As time passed MOV was dropped, as the industry standard for Apple had become what is known as MP4. The MP4 was initially based off of the MOV so there was difficulty in discerning the differences at first. The MP4 or the more technical name (MPEG 4 part 12) is a container for various types of data and can be streamed over the internet. Now that time has passed, the difference to users of both is relatively clear. Both options are utilized for holding lossy video compression, which can be used for eliminating unnecessary information. The difference becomes clear when we start discussing usability and versatility. If one is seeking to share their video or data with the general Apple community then MOV will definitely suffice. If you are hoping for more versatile sharing options, however, then one is inclined to choose the MP4. The MP4 is useful for transferring data to items such as the PS3, PSP, and many other devices that might be outside of Apple. AVI can be considered a predecessor just in the sense that having an older history connected to it, and it was developed by Microsoft as the format for playing media. 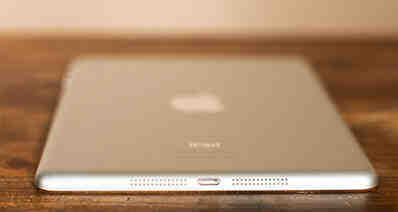 MOV was developed by Apple in order to be utilized in conjunction with Quick Time Player, and to an extent MP4. There is simply a compatibility difference between these two formats. The AVI is older that the MOV can support things the AVI cannot. The main difference lies in the general support of lossy MP4 codecs which AVI simply does not support. AVI was, however originally developed when there was a need for compatibility, and as such it is versatile. As time passed, of course, needs for development reared their heads, and the AVI was dropped by Microsoft in order to make room for the WMV. Currently, we could rest assured of the fact that AVI format is simply obsolete due to its non-compatibility with MP4 encoded lossy. There have been attempts to rectify this, such as hawks, but this doesn't necessarily fix the incompatibility. Hacking files such as these can leave them at times unplayable all together or simply a much larger file. This is an issue MOV user do not have to face, despite not having quite the same flexibility as some of Apple's other options. As with computers and hand held technological gadgets; Apple has also shown much prowess and promise regarding new formats such as MOV and M4V. These both hold mainly video files for playback. The major difference worth actually noting between these two is the specific formats they are generally connected to. As stated before, MOV is meant to be used with Quick Time, and as such it is the default for this particular application. M4V is different in the sense it is utilized for "portable" tools and programs: iTunes, the iPad, iPhone, etc. As these are not codecs, MOVs and M4Vs are not responsible for the quality of the videos. M4V utilizes MP4 formats and utilizes H.264 for videos and AAC or Dolby Digital for playing audio. MOV is more flexible in the formats it permits users. The downside in comparison is that MOV is not really compatible with portable devices as mentioned earlier, and this can prove challenging depending upon what one's individual needs are. As with the initial MOV comparison within what Apple offers, if you aren't looking to do a great deal of transferring, then MOV should suffice. If, however plan on using a lot of portable devices than M4V is the most efficient path. In this section we'll discuss AVHD first. This stands for Advanced Video Coding High Definition, and it is a file based format for the digital recording of what we know as HD video. This concept was developed by the joint efforts of Sony and Panasonic, and it was officially introduced back in 2006. Regarding compression of videos, AVCHD utilizes MP4 and supports high quality resolution. The differences between MOVs and AVCHD are obvious, as MOV itself doesn't pertain to quality, whereas the other does. MOV doesn't allow for a great deal of mobility, whereas the AVCHD was originally intended for media presentation so it permits far more options. There are several options available depending what one is attempting to get done. For general purposes, MP4 and or M4V would perhaps be more versatile considering the ease of transfer to smaller devices. If the media in question more than likely is going to remain among a select group or even stationary than MOV is the next best option. The other option, AVI, while still usable is more or less obsolete and has made way for new formats. There is no one option that surpasses another due to the fact they are all need based, and knowing what each option will provide in detail will allow you to make well informed decisions. Issues regarding playability, compatibility, and general transferring can be resolved with the basic information provided. In general, it is also important to stay abreast upon new file and format development, as factors that may have proven to be an issue in the past may no longer be such or current options may become obsolete or simply not as effective.